It’s that time again: August. Back to school. Pencils, markers, crayons line the store shelves. Backpacks and lunchboxes of all different styles and characters have been selected. New clothes and shoes have been purchased. Soon, summer vacation will fade into a crisp, clean autumn (unless you’re also from the South, where the end of summer just means 90 degrees instead of 100), and students will embark on the beginning of a new school year. As librarians, we like to think that every parent and student will enjoy the books and activities we’ve selected for them. We like to think that we won’t deal with any book challenges throughout the year. We like to think censoring books is not as prevalent in a country like the United States. Unfortunately, the existence of lists such as American Library Association’s (ALA) annual Top 10 Most Challenged Books says differently. Attempts to censor books can and still do happen. And it is our job to resist these attempts the best that we can. One of the best ways we can challenge censorship is to prepare ourselves for it. This may seem counterintuitive, but hear me out. If you approach censorship and book challenges from the perspective that it WILL happen, you will have a plan of action in place if it does. In other words, the best defense is a good offense. First, if you don’t have one, get one! 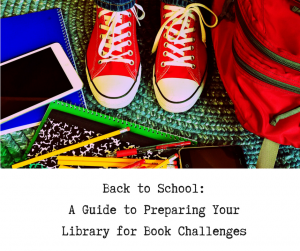 A comprehensive and clearly stated selection policy explains how and why materials are chosen for the library and can often subvert book challenges before they get started. Second, if you do have one, give it that ol’ beginning of the school year run down. 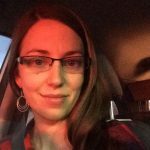 Does your selection policy match the values in your mission statement? Does it state who is responsible for selection? Does it include parameters for how materials are selected? Does it include a reconsideration policy in the event of a challenge? The inclusion of these items helps to guide you and your staff in selecting materials that will benefit and interest your entire school community, as well as clearly explain to a concerned parent or community member why a certain book was selected. If you need guidance in creating or revising your library’s selection policy, please check out the ALA’s brand new Selection & Reconsideration Policy Toolkit for Public, School, & Academic Libraries. As the title states, it is a guide for all types of libraries. Even if your policy is current and comprehensive, be sure to flag this toolkit for future reference. Once your selection policy has been written and approved, ensure that you and your staff are familiar with it. The ability to confidently explain, and if necessary, defend the inclusion of any material, even controversial ones, will help a challenge and reconsideration situation flow more smoothly. Additionally, review the difference between oral concerns and complaints and a formal challenge. An oral concern is when a parent or community member expresses their complaint verbally to the librarian or a staff member. A challenge has not yet occurred. A challenge is when a parent or community member actively attempts to remove or restrict a book from an individual’s library collection based on their own opinions or objections. Practice and coach your staff in how to respectfully respond to an oral complaint. This may sound silly, but confidence is key when acknowledging a materials complaint. And it could mean the difference in keeping one parent complaint from transforming into a formal challenge. Often, parents and community members just want to feel that their complaint has been heard by a concerned and sympathetic ear. If a parent takes that final step and files a formal complaint against a book, do your best to ensure the reconsideration policy is being followed. It can be intimidating to stand up to school officials, community members, and parents. It can even feel personal. It is important to remain professional and stick to the facts. Confidence and preparation are crucial at this stage. And seek help! Locally, you can reach out to fellow librarians. They may have been through a similar situation and can guide you through it. 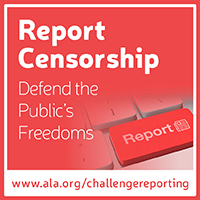 Nationally, report the challenge to the ALA’s Office for Intellectual Freedom (OIF)! And view their website for a wealth of information and resources for anyone facing a challenge. It is estimated that 82-97% of challenges go unreported. OIF and other intellectual freedom organizations are better prepared to defend these instances when they’re brought to light. Hopefully, you won’t need any of these resources this year. Hopefully, your year is challenge free and full of students reading diverse and important books. But in the event that it’s not, hopefully these resources better prepare you to stand up for and share with your school community the importance of intellectual freedom.